should anything happen along my way home. and you should try not to forget snacks and magazines. Snacks are important. I have to admit….this is tempting. Things happen to you, Beth? Ah-ha, now I know to wear an edible necklace as I’m out and about! Never thought of THAT!! It just might lighten their load a bit!! I love it. What fun. You do seem even more cheerio than usual today, Beth! You may have started a new trend. I’ll wear some fried chicken legs and get rid of my paper bag for lunch today! 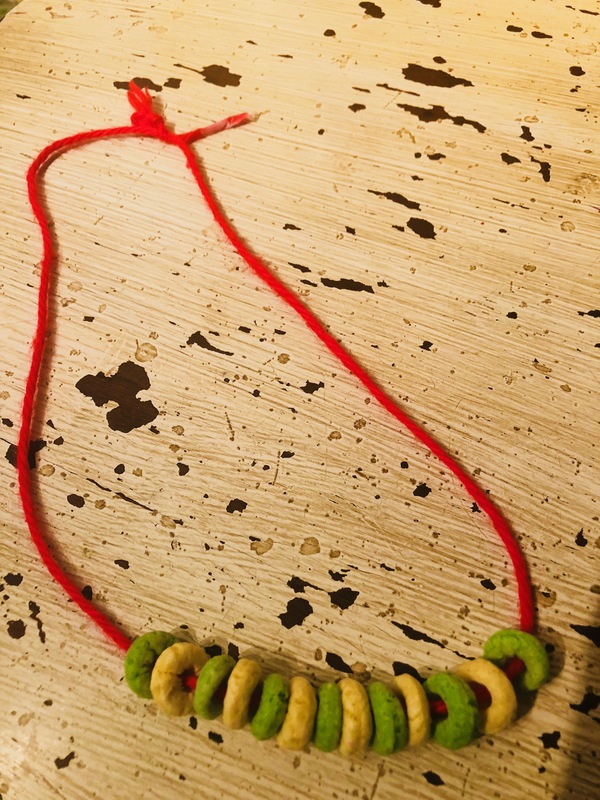 I’m going to copy you and make one of those “survival necklaces.” Except that mine will be made of pickles and chicken wings instead of Cheerios. 🙂 Thank you for another lovely, smile-inducing post, Beth! You are way more sophisticated and prepared for every eventuality in the US. The only necklaces my gang brought home were made of raw pasta and I’ve never seen Bear Grylls use pasta for survival. Intriguing, they’re edible? What are they made of?